Before and after – what a difference a “Clean & Check” makes! 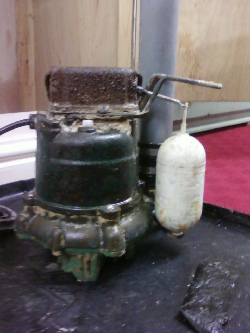 Heres two great pics of a basement pump unit before and after cleaning. 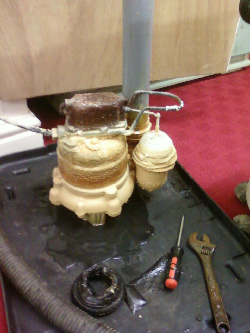 The before picture clearly shows the lime build up on the pump unit and the after showing a clean unit after descaling. I know which pump I’d want protecting my basement and keeping it dry!